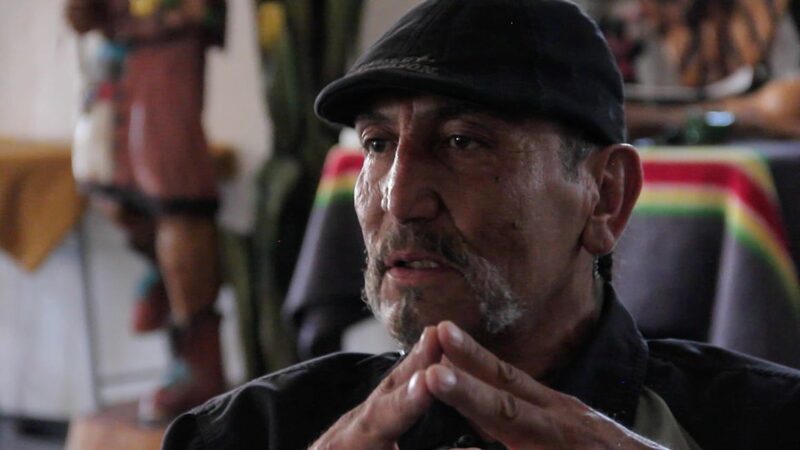 ALBUQUERQUE, N.M. — “I love the National Geographic because it saved my life,” says Tomas Martinez, recalling the 1980 prison riot at the state penitentiary in Santa Fe, New Mexico. “We taped National Geographics around us and we made hoods because we didn’t know what was going on,” Martinez says, referring to the violence that ensued. The riot was one of the bloodiest in US history. Thirty-three inmates were killed and over 90 were injured. Martinez was an inmate at the time. After 17 years in and out of prison, Martinez now walks a different path. Video: Tomas Martinez lived in and out of prison for over 25 years. Now he uses his experience to help young men of color lead a better life. Martinez is candid about his past. He was a heroin addict by the age of 13. When he was 19, he was convicted of armed robbery and sent to prison for the first time. “The third time I went back was in 1989 and I didn’t get out until 2003,” Martinez says. Today, he uses his story to make a difference in the lives of young men who might otherwise fall prey to gangs, violence, drugs and incarceration. Martinez is an outreach coordinator and a promotor at La Plazita Institute in Albuquerque. Primarily he works with Chicano and Native American young men who are transitioning out of a life of incarceration. Russell Urban, 56, is the ceramics teacher at La Plazita Institute. 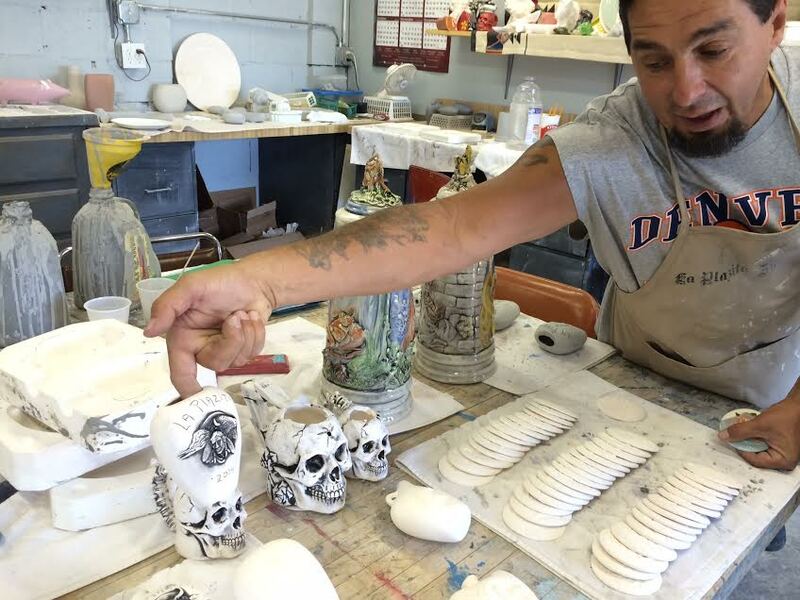 Urban taught himself to make ceramics in prison and then led classes for fellow inmates. Urban says when he arrived at La Plazita about two years ago. Martinez enrolled him in community college, arranged healthcare and gave him a bicycle. “La Plazita has just changed my whole life,” says Urban. From the ceramics studio at the Institute, Urban offers free ceramics classes to the community. He also runs a class for young men in the juvenile justice system. Urban is studying to be a substance abuse counselor for youth and is scheduled to graduate next semester. Ceramics are but one of many resources La Plazita offers. Others include a screenprinting studio, tai chi and a variety of traditional healing methods. The Teens Making a Change program offers a safe space for young men to express themselves, engage in dialogue and learn from one another. One of the most important programs at the Institute is the urban/semi-rural organic farming project. 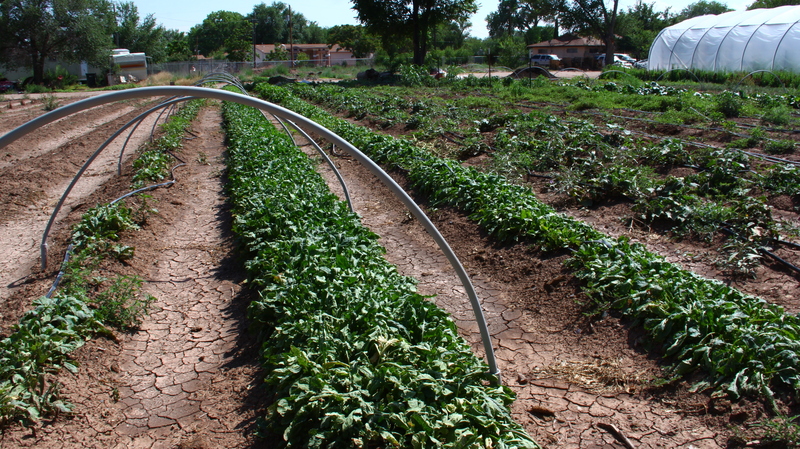 La Plazita members cultivate the land and grow crops that are then sold or shared with members of the community. Food from these farms can be found in local restaurants, grocery stores and public schools. 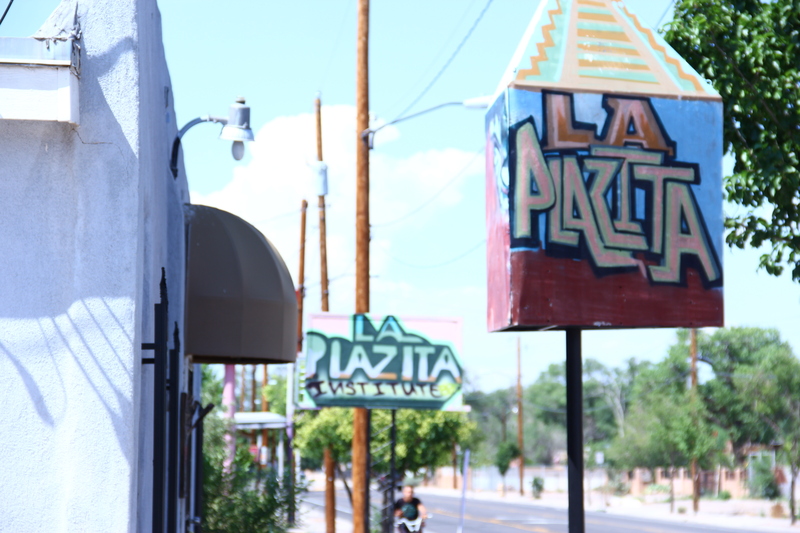 La Plazita operates from small compound nestled in the heart of Albuquerque’s South Valley, a predominantly low income community of color. The non-profit organization is made up of ceremonial spaces, workshops and meeting places. It is decorated with murals that were made by its youth members. All of La Plazita’s services are free and are aimed at bettering the lives of young people who come from the surrounding community. Martinez says the idea behind the institute is “cultura cura” which means culture heals. He says La Plazita does this by educating its members about their cultural heritage and indigenous ceremonial practice. Martinez maintains that culture is the route to community healing. “I am who I serve,” Martinez says. Martinez encourages the youth he works with that there is a better life for them, but it does not come easily. Martinez sees how his life experience has given him credibility to make a deep impression on young men from his community. He uses his own story to inspire them to make those difficult changes. He has dedicated his life to guiding those youth along the way. Hear Tomas Martinez describe a defining moment in prison, and view a slide show of La Plazita Institute.